Yun-Fei Ji (b. 1963. 'The Village and Its Ghosts' (detail), 2014. Ink and watercolor on Xuan paper. Courtesy of the artist and James Cohan, New York ©Yun-Fei Ji. Yun-Fei Ji (b. 1963). 'The Village and Its Ghosts' (detail), 2014. Ink and watercolor on Xuan paper. Courtesy of the artist and James Cohan, New York ©Yun-Fei Ji. Taking on the thousand-year-old practice of Chinese scroll painting, Beijing-born artist Yun-Fei Ji employs ink on paper as his primary medium and landscape as his central subject. 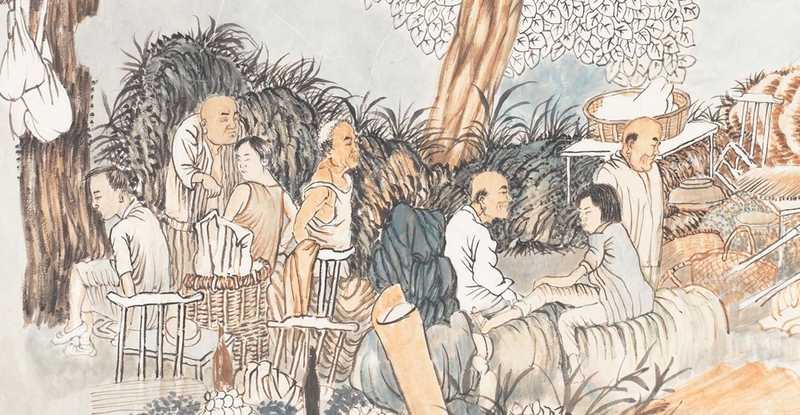 However, rather than adopting the idealism characteristic of traditional scroll painting, Ji’s work presents the gritty reality of life in China today. Ji also emphasizes the critical relationship between the land and its people and how the balance is being challenged by current social, political, ecological, and economic shifts. His compositions are inspired by his own fieldwork in rural areas throughout China’s countryside, where entire villages face forced relocation to make way for ambitious infrastructural projects such as the Three Gorges Dam, and where climate change has compromised the natural environment. The resulting artworks are populated by individualized, present-day figures inhabiting land in various stages of transition. Poised between modernity and tradition, the village becomes a metaphor for community, where dislocation, environmental deterioration and animal-like folkloric figures act as powerful reminders of longstanding cultural traditions at risk. With their impressionistic brushwork and original subject matter, Ji’s paintings possess an immediacy and urgency that suggest a fragmented, at times surreal, contemporary landscape. 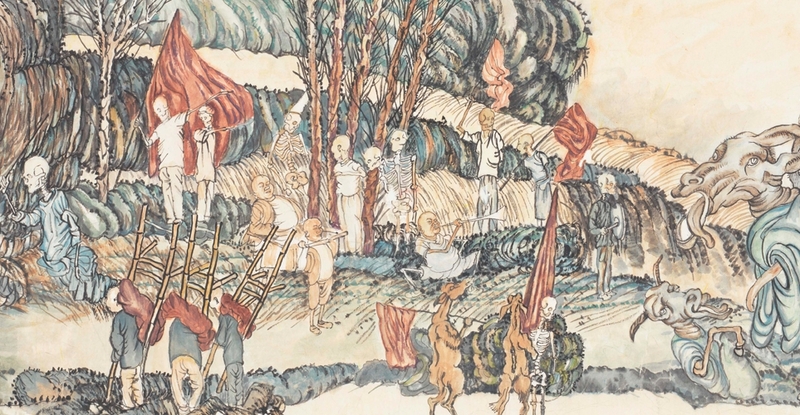 Yun-Fei Ji: The Intimate Universe is the artist’s largest solo exhibition to date in the United States. It features a selection of work from the last decade, including new scrolls exhibited for the first time. Breathing new life into an established art form, Ji draws out the incongruity between an idealistic view of the world in its natural state and the consequences of modern-day industrialization. Broadening on this dialectic, his recent work moves with increasing fluidity between the naturalistic world and the fantastical realms of the artist’s imagination. More: Read curator Shawn Eichman's notes about the exhibition on the blog. Yun-Fei Ji: The Intimate Universe was organized by the Ruth and Elmer Wellin Museum of Art at Hamilton College. See a behind-the-scenes video of Yun-Fei Ji installing the show at the Wellin Museum of Art last year.